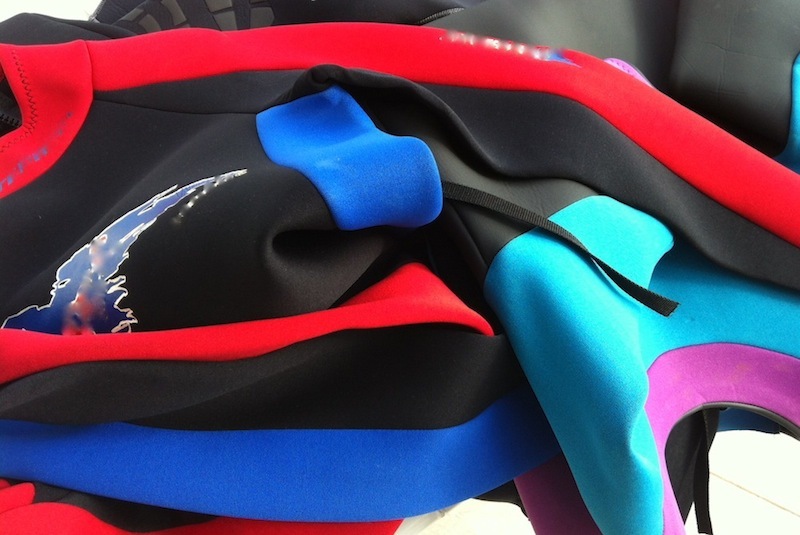 Color-coded Nicoprene wetsuit will mask their tobacco smell with seaweed, frangipani and stale urine scents, Blacktip Island’s Bamboo You owner Piers ‘Doc’ Plank said. Blacktip Island scuba outfitter Bamboo You has released Nicoprene, a neoprene-like wetsuit infused with liquid nicotine, for the Caribbean island’s scuba divers craving tobacco during dives. Nicoprene is an offshoot of the company’s already-popular Bambooprene bamboo-fiber wetsuits. “Our patented capillary technology allows a dose of nicotine to spread evenly throughout the suit,” Plank said. “You refill the suit before each dive. No fuss, no mess, just happy divers. To cover the nicotine’s strong smell, the company offers Nicoprene refills in a variety of scents, including sea wrack, tropical flowers and peed-in wetsuit. Local divers are excited the new suits also double as a self-tanning system, with the darkness of tan dependent on the degree of nicotine infusion. Bamboo You’s Plank confirmed the company will offer a complete line of tanning accessories in time for the holiday shopping season. Blacktip Island’s medical community is upbeat about Nicoprene as well. “Nicoprene’s a boon for people who want to tan without the hazards of UV rays,” island surgeon Dr. Azul Tang said. Neither Plank nor Tang would comment on reports Tang is an investor in Bamboo You, or that Plank and Tang are part owners in the Caribbean island’s Club Scuba Doo dive resort.